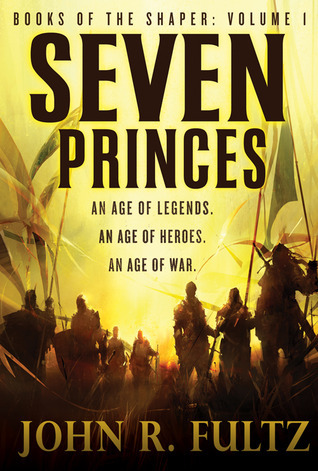 I’m thrilled to announce that I will be doing my first official signing (my “launch” signing) for SEVEN PRINCES at Borderlands Books in San Francisco on Saturday, January 7th. The book hits U.S. stores on Tuesday the 3rd and drops in the U.K. two days later. 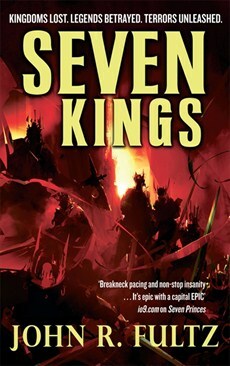 Both releases span Orbit’s “Seven Days for Seven Princes” promotion, which will be feature giveaways, exclusive articles, and other cool stuff online. Borderlands is such a cool place to go when you’re in the city. It’s a perfect venue in which celebrate the worldwide release of the First Book of the Shaper. If you’re in the Bay Area on 1/7/12, drop by Borderlands for a spot of tea, some sparkling conversation, and a whole of lot of great books. We fantasy fans have certainly had our share of let-downs in this new age of Hollywood fantasy films. I won’t go over again how disappointing the latest CONAN movie was, or how empty the storytelling was behind the gorgeously weird vision of IMMORTALS. Instead, I’d like to talk about the movie that is going to put fantasy films back on the map in a big way. No, not THE HOBBIT — that’s too far away (but yes, it’s going to be magnificent). I’m talking about one of the first heroic adventures written in the 20th Century, a story of swashbuckling swordplay, fantastic realms, and timeless romance. Edgar Rice Burroughs’ JOHN CARTER OF MARS comes to life this March in the Disney/Pixar film entitled simply JOHN CARTER. Everything I’ve seen and heard–and everything I keep seeing and hearing–only cements my opinion that this movie is going to be absolutely brilliant. – It looks amazing. Pixar has wisely gone with the Michael Whelan/Frank Frazetta style of portraying the fashions, weapons, and general look of the Martians and their world. Pixar rarely disappoints, and the new trailer with its abundance of green martians (Tharks) and white apes is proof positive. – The script was co-written by the great Michael Chabon, Pulitzer-prize winning author of THE AMAZING ADVENTURES OF KAVALIER AND CLAY, one of my favorite novels. Chabon is a storyteller with heart and substance…he’s the firm ground on which the Pixar scripters are helping to establish their version of ERB’s classic concepts. – The actors. James Purefoy from ROME. Willem Dafoe from WILD AT HEART. Samantha Morton. Bryan Cranston. Thomas Haden Church. Lynn Collins (as Dejah Thoris, Princess of Mars). And even though he’s not a household name (yet), Taylor Kitsch seems to fit the role of John Carter perfectly. These are simply the latest reasons why I’m feeling extremely hopeful about JOHN CARTER bringing fantasy-adventure to a new level of quality. Perhaps this movie will be the first all-out fantasy to match the quality of Jackson’s LORD OF THE RINGS movies. What George Lucas tried to do with his STAR WARS prequels, we’re going to see Pixar do in a much more fulfilling way with the original source material that inspired Lucas in the first place. It’s fascinating to consider that Burroughs created his first John Carter stories long before most of the other fantasy writers of the 20th Century revealed themselves. If Ireland’s Lord Dunsany was the grandfather of modern fantasy, then Edgar Rice Burroughs was his American counterpart. (NOTE: Examining the essentially American traits in the John Carter stories would require a whole separate article.) In essence, Burroughs — primarily with his John Carter and Tarzan stories — served as a literary bridge from the 19th to the 20th Century. He inspired generations of fantasy writers to follow. I hope (and I believe) that this movie will be a fitting tribute to his achievements. What’s more, I hope it’s the first of many such films. People have been reading these stories for a hundred years now. That alone is proof of their power and durability.